The Designing Mindfulness project started with the question: ‘What if we took the principles and practices of mindfulness and wellbeing and built them into absolutely everything?’ While mindfulness is being applied in the mainstream, and the benefits of meditation are more evident that ever before, it is apparent that the impact of even the most popular meditation apps will be minimal, relative to the landscape of consumer technology. 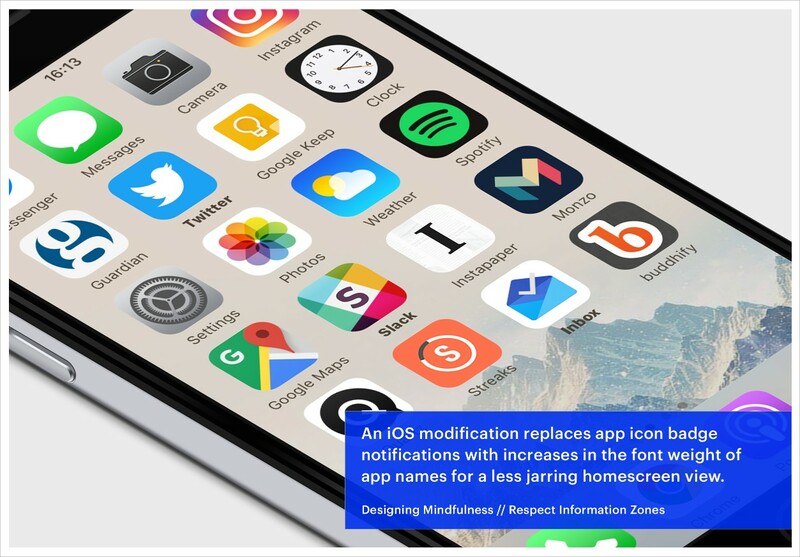 In this project, Mindfulness Everywhere looked to define a design philosophy that could not only be used in their own products, but would have a wider significance, beyond digital products that explicitly target wellbeing. 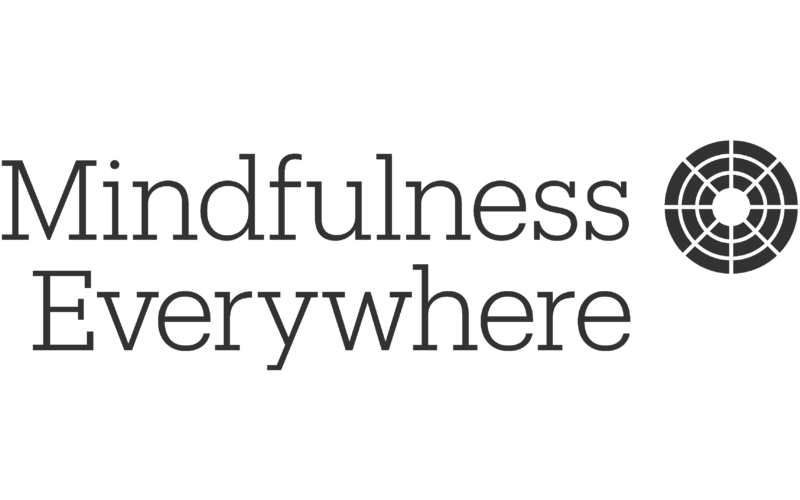 Embedding ourselves within the Mindfulness Everywhere studio, we worked with them to produce the manifesto Designing Mindfulness. 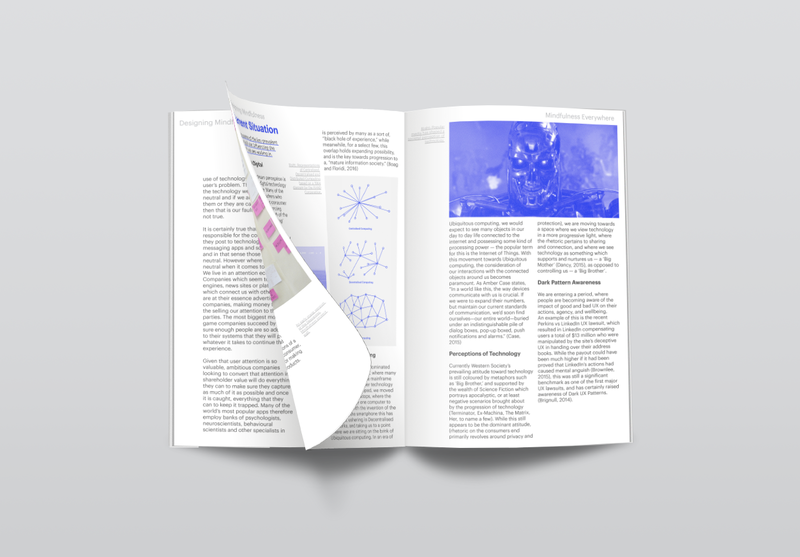 We supplemented the studio's existing knowledge and insight with product case studies, expert interviews, and literature reviews, before synthesising key insights into a series of principles and communicative concepts. "A really nice quote about how we are such great people, and do really amazing useful work, a quick brown fox jumps over the lazy dog." With the common rhetoric of the ‘digital detox’ and ‘switching off’, there is an assumption that mindfulness and technology are mutually exclusive. Challenging this assumption, this project built a manifesto for designing technology that takes care of the people who use it. 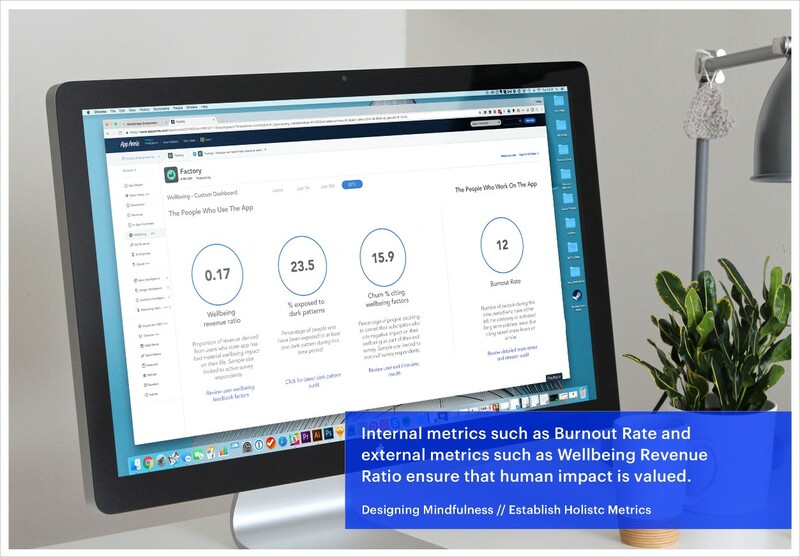 Embedding ourselves within the Mindfulness Everywhere team, we tapped into their extensive knowledge and experience of mindfulness and technology industries. Using this as a base, we engaged with relevant literature, and interviewed relevant industry experts. Building on this, we collected case studies from a range of well known digital products to identify their mindful (or not-so-mindful) characteristics, whilst gaining an understanding of how various elements across graphic design, search algorithms, notification structures, UX, UI, and service models influence a user's state of mind. 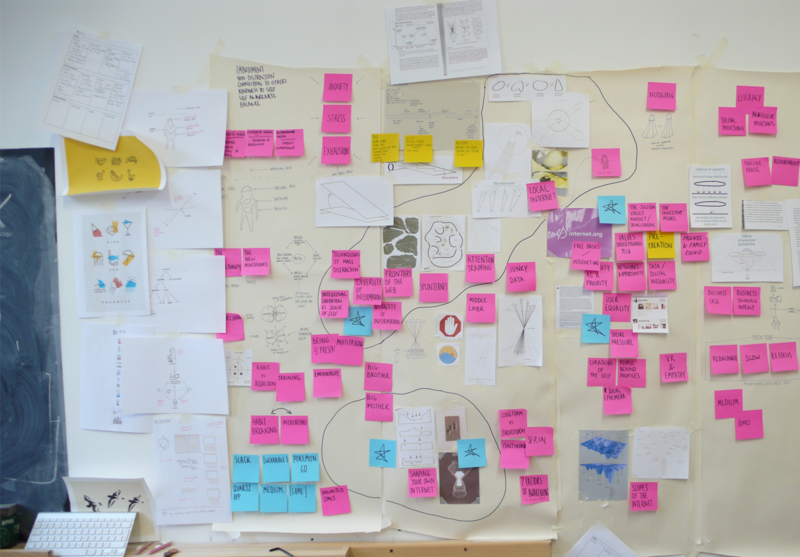 Synthesising our learnings, we generated a series of principles for designing technology that looks after the people who use it. While these were ‘design principles’, we recognised that design is impacted by several external factors, and therefore the principles speak, not only to design processes, but also a company’s culture and mission. Accompanying these principles, we developed a series of design concepts, to illustrate and communicate how these principles might look like in practice. The full list of these can be seen on the Designing Mindfulness website. 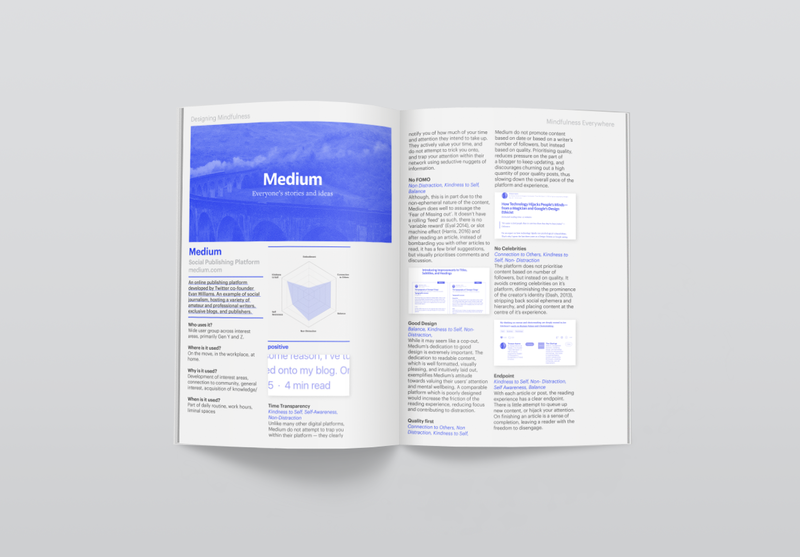 Since delivering this work, the Mindfulness Everywhere team have incorporated the Designing Mindfulness Principles into their company culture, and used them in their releases of digital products, including the redesign of Buddhify. 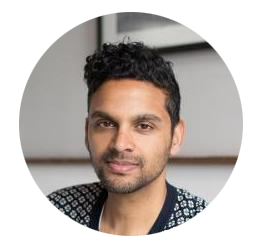 They have been invited to write and speak about them internationally, and have built a consultancy offering around mindful design.